A minimum stay of 30 nights is required. We are sorry that we are unable to extend any online reservations for this property. Please fill in our request form for long stay enquiries. Alternatively, you can also call us for reservation assistance. Somerset Youth Olympic Nanjing is centrally located in Hexi, a new central business district, in close proximity to the Nanjing Olympic Centre, International Youth Culture Centre and Nanjing International Expo Centre. The property is within walking distance to the metro station which serves lines 2 and 10. In less than 15- and 40-minute drive will bring you to Nanjing South High Speed Railway Station and Nanjing Lukou International Airport respectively. Enjoy the view along the river promenade and the Nanjing eye bridge in just 3 minutes by car. Somerset Youth Olympic is located in the Youth Olympic Village and is surrounded by restaurants, bars, shopping centre, supermarket and banks, providing unparalleled convenience and comfort for the community. An international primary school and kindergarten are located next to the property, catering to the needs of residents with children. Each of the 68 spacious three-bedroom serviced apartments comes with a large living/dining room, fully-equipped kitchen, home entertainment system and high speed broadband access. The apartments boast a picturesque view of the Yangzi River from the balcony. After work, guests can unwind and work out in the swimming pool, gymnasium or yoga room, or soothe their minds in the video room. Somerset Youth Olympic offers warm and stylish homes with many recreational facilities and business support services. A 24-hour security system also ensures a safe living environment for you and your family. 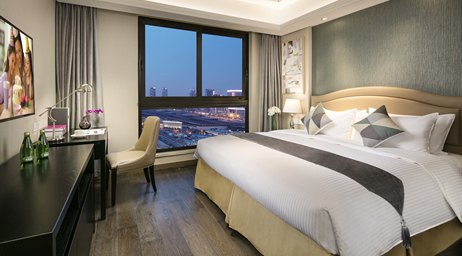 Nanjing Youth Olympic International Residence is another state-of-art property managed by Ascott in Youth Olympic Village, adjacent with Somerset Youth Olympic Nanjing, the two properties complement with each other and enjoy convenient location, premium services together. Nanjing Youth Olympic International Residence is also your choice to stay in Nanjing. 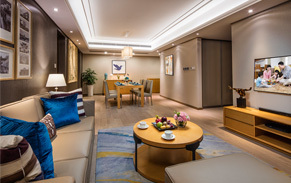 Somerset Youth Olympic Nanjing is one of a premier collection of The Ascott Limited’s serviced residences in over 90 cities in the Americas, Asia Pacific, Europe and the Gulf region. A member of CapitaLand, it is the global leader in branded serviced residences, bringing you more than 30 years’ experience in supporting travelers who work and live away from home. Live the life you desire with the Ascott Lifestyle, a collection of lifestyle experiences handpicked for your indulgence during your stay. Because life is about living. 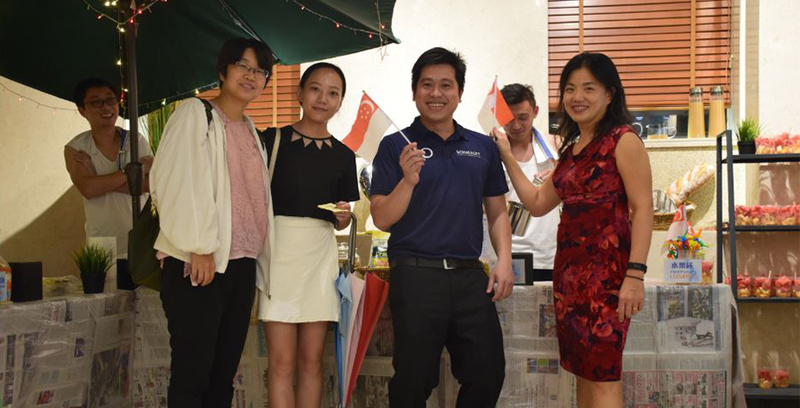 Somerset Youth Olympic Nanjing celebrated Singapore’s National day with style. The lobby was filled with street food stalls, and filled with the fragrance of South East Asian cuisines. Meanwhile, our younger guests were having a blast in the game section, which include a plush doll arcade, basketball shooting range, and so much more. Everyone enjoyed a very special Tuesday evening. A shuttle service from the airport can be arranged for guests upon request. Additional charges apply.